This letter was enclosed with a $10 donation to be used wherever Miss Berry deemed it to be needed. Mrs. McDonald also sends her blessings to Miss Berry. 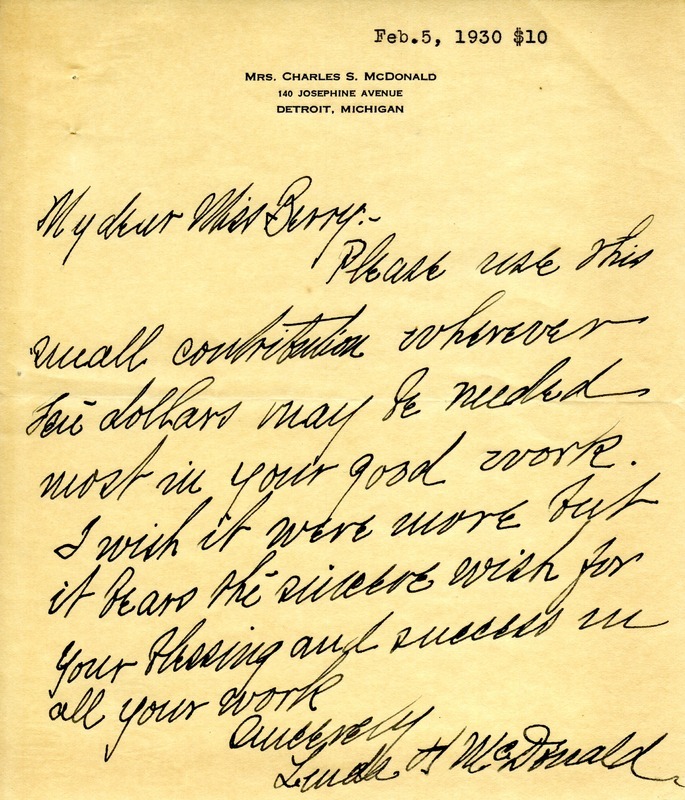 Mrs. Linda H. McDonald, “Letter to Martha Berry from Mrs. Linda H. McDonald.” Martha Berry Digital Archive. Eds. Schlitz, Stephanie A., Cassie LaJeunesse, AJ Pesce, Meg Ratliff, et al. Mount Berry: Berry College, 2013. accessed April 26, 2019, https://mbda.berry.edu/items/show/13141.